LONDON, 29 November – DAZN, the world’s first pure-sport live and on demand streaming service, is set to continue its global expansion by launching in Brazil in March 2019, offering affordable and flexible access to some of the best sport in the world. 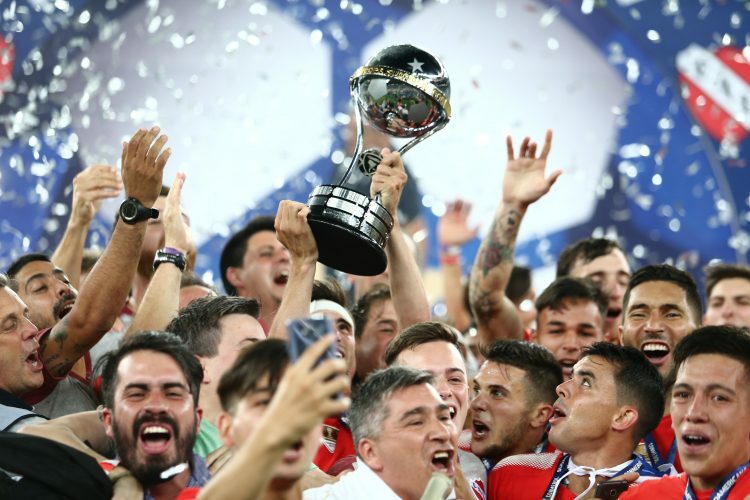 CONMEBOL has awarded DAZN the exclusive broadcast rights for all Copa Sudamericana matches from 2019, for four seasons. In addition, DAZN will show all Serie A TIM and Ligue 1 games exclusively until 2021, with more major rights to be announced soon. Before launching in March 2019, DAZN will broadcast selected Serie A TIM and Ligue 1 matches free-to-air via its pages on Facebook and YouTube, so Brazilian football fans can watch teams including Paris Saint-Germain and Juventus with global superstars Neymar Jr and Cristiano Ronaldo in action. Coverage starts from 7 December. The announcement comes only a fortnight after DAZN confirmed it will launch in Spain in 2019, with MotoGP™, English Premier League and Euroleague Basketball confirmed as the first rights broadcast on the platform. DAZN guarantees no long-term contract, just one affordable price for access on most connected devices including TVs, smartphones, tablets, games consoles and PCs. DAZN is already live in seven countries and counting. It burst onto the scene in August 2016, debuting in Japan, Germany, Austria and Switzerland. Its early success across Europe and Asia was followed by successful launches in Canada (2017), Italy (2018) and United States (2018).